The Maker: New Contemporaries is a platform for emerging artists to present their work to a diverse audience of professionals, curators, critics, patrons and the press. This platform seeks to engage an emerging generation of designers and artists at the early stages of their careers with the aim of giving them the direction and network to expand their practices. 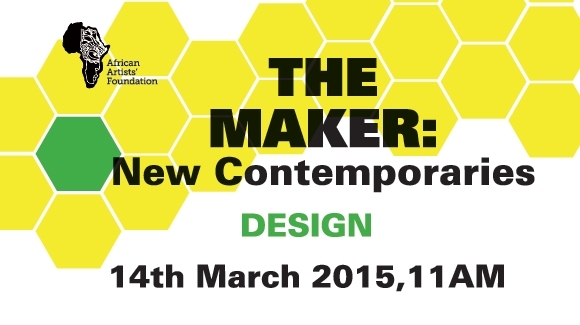 This edition of The Maker: New Contemporaries (Design) will focus on architecture, product design and graphic design. The selected New Contemporaries are Ada Umeofia, Iskil Kuye, Enioluwa Olorunfunmi, Babade Osasanya, Damilola Marcus and Seyi Olusanya.